ReadMe/ EatMe/ DrinkMe – A boozy-foodie book blog. 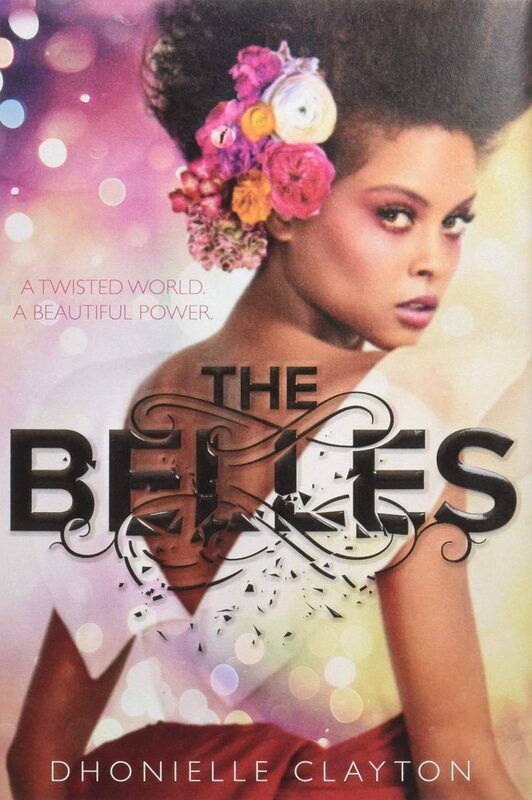 Being completely honest, while I am a fan of Scott Westerfeld and most of his work, I was a little apprehensive when I heard the he would continue the Uglies series. I LOVED the original 3 but found the fourth, Extras, to be “fine”. 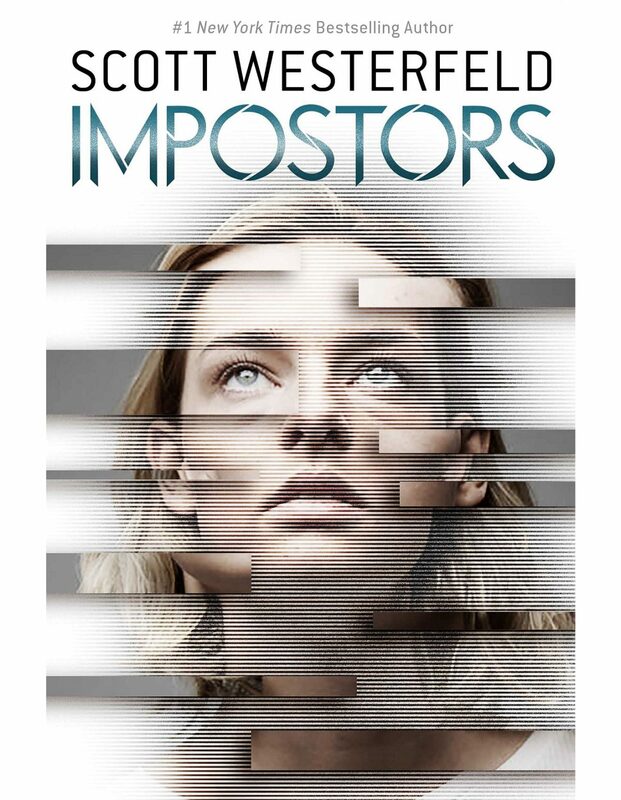 Impostors, though, did not disappoint me at all! I enjoyed the story and it moved very well. I don’t find the new cast of characters in this story to be as dynamic as the those from the original books, but the may be because I’m not as attached to them yet. This new series takes place about 16 years or so after the end of the Extras and only one character remains, literally showing up for one scene. I’m not going to get into the story because doing so could spoil the original four books. Yes (!) you need to read the original four or else you will be terribly confused. This book, the second in the CRA trilogy did not disappoint at all! The story picks up 2 to 3 years after the first and, my goodness, it doesn’t miss a beat. Like all good soap operas we’ve got a car crash, plastic surgery, social climbers, meddling parents, a wedding, shopping sprees (in Paris!) and fabulous parties. We’re reaquainted with past characters and introduced to a host of new ones who are hell bent on shaking things up. I loved seeing where Rachel, Nick, and Astrid are in their lives and seeing previous side characters like Kitty Pong become more fleshed out was fantastic. 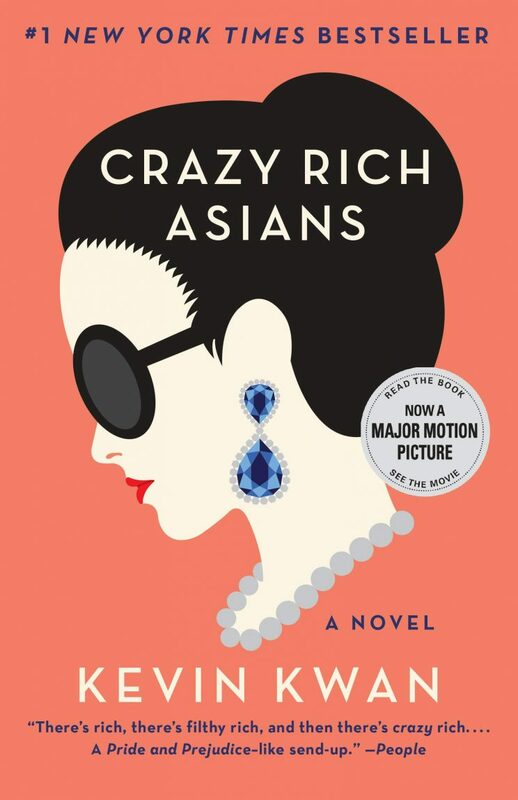 Kevin Kwan continues to do a great job at peeling back the curtain on the ultra elite VVIP life. I eagerly await book three. I enjoyed this book a lot. 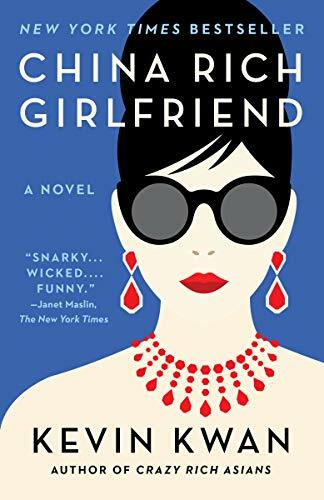 It was a pretty quick read and I appreciated that the author used authentic slang from the different languages that the characters speak and included a glossary for those terms and them bottom of each page. Even though many of the characters come from obscene amounts of money, they still felt like real human beings. None of the characters were “all good” or “all bad” which tends to happen in these types of stories. Everyone had their own motivations, hopes and dreams. There were also a ton of characters, so I liked that the author titled the chapters with the character whose POV we were experiencing. I’m definitely going to read the rest of the trilogy and watch the film. I thoroughly enjoyed this book. Like any novel, the first few chapters took a couple of days to move through. The world created by Ms. Clayton is very detailed and because of the concept of it is so fresh and unique, it took a moment for me to find my bearings, get a good grasp on the rules and understand the lingo. But, honestly, it doesn’t take long to hit your stride. The characters are well thought out and in a world where changing your entire out appearance and your demeanor can take place in an hour, no one is who they seem to be. The settings and their descriptions are so lush but in a way that distracts from the action. I’m looking forward to getting my hands on the second book when it comes out and as it’s published by FreeForm (an imprint of Disney Books), I would love to see this on television in the future. In the book SADIE by Courtney Summers, the title character spends the majority of her time making a good life for herself and her sister. She takes on the responsibility of being “the parent” after her mother skips town. even though she doesn’t have much to give, she gives her sister her all. 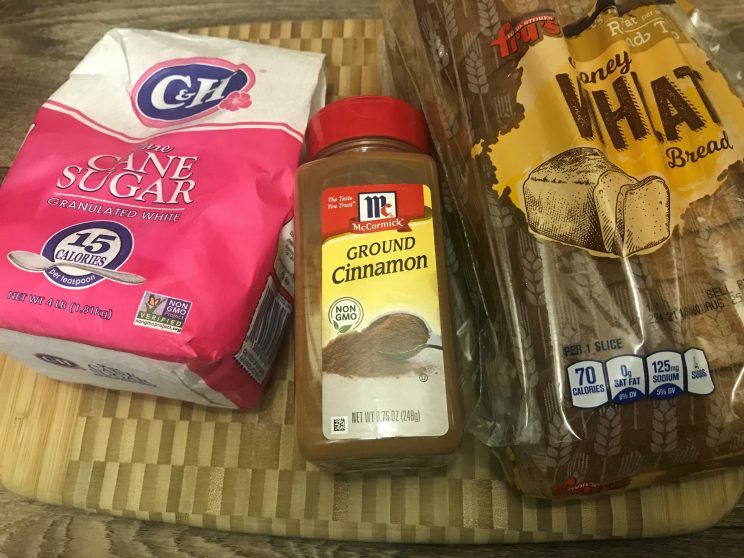 I think that cinnamon toast is one of those foods that is so incredibly simple to make as well as being super inexpensive because most people already have all of the ingredients in their pantry. 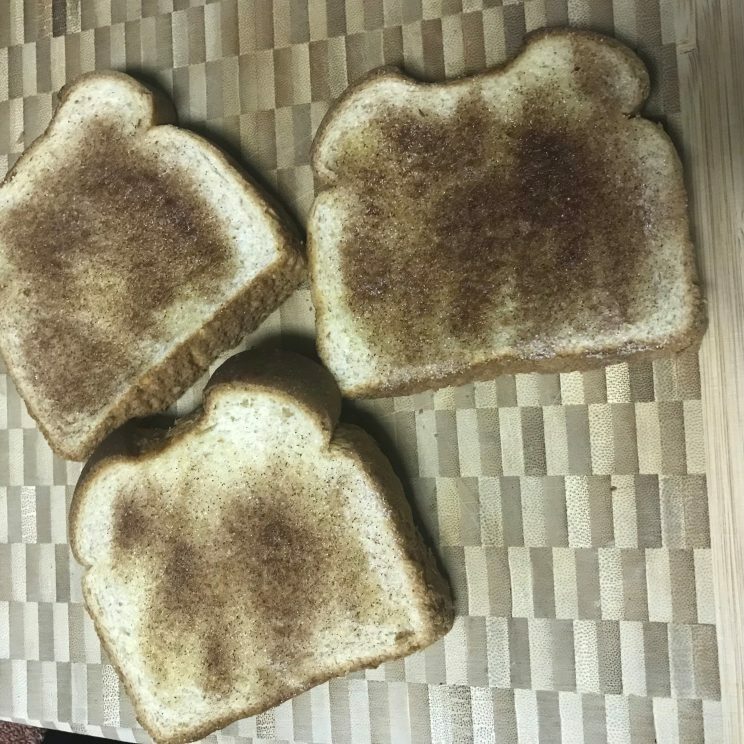 Cinnamon Toast can make a great after school snack, a sweet treat after dinner or even a yummy breakfast when paired with some fruit! Mix together the sugar and cinnamon in a small bowl. Lightly brush butter onto one side of the slices of bread. Sprinkle with sugar mixture. Repeat on the other side of the bread slices. Toast coated bread slices to your desired firmness. I like for the crust to be crispy but not burned. You can sub the butter for a butter based cooking spray or a cooking oil that doesn’t have a strong flavor. Pre-heat the oven per the instructions of your croissant dough. 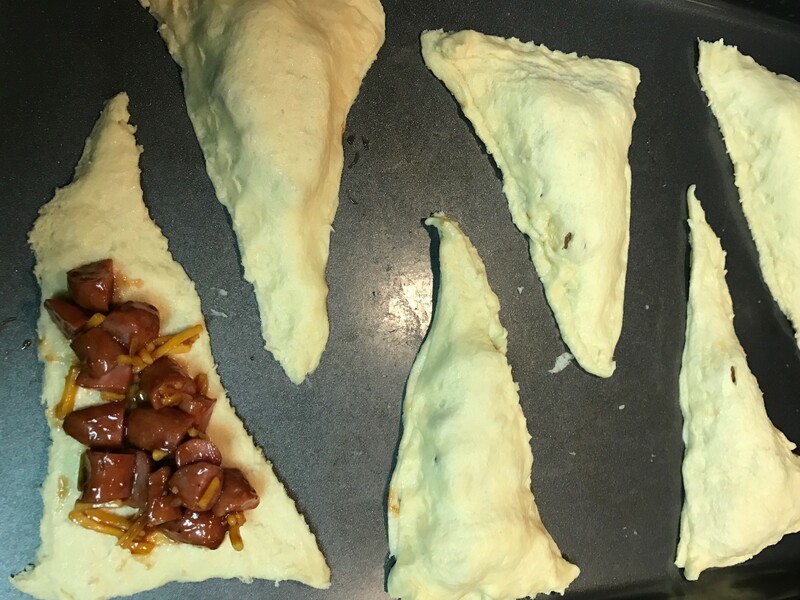 Separate the croissant dough triangles. Mix all other ingredients in a bowl and spoon onto half of the triangles. 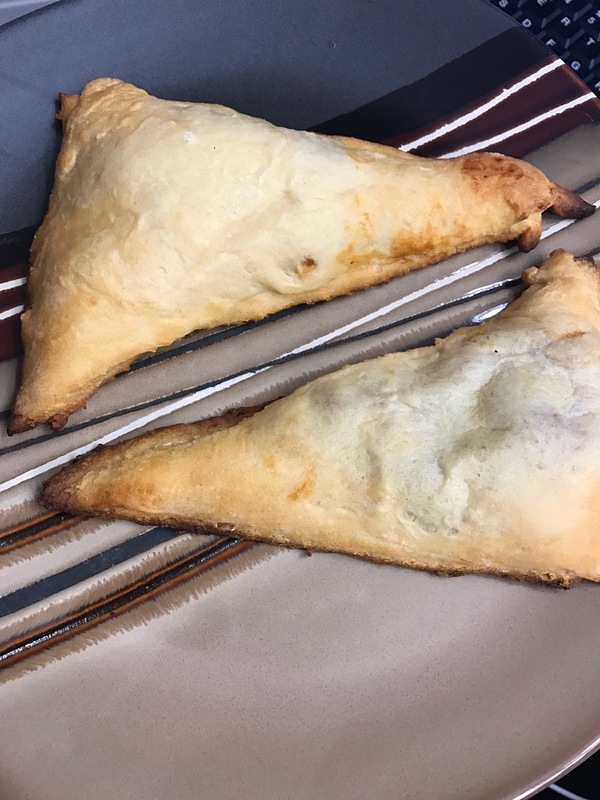 Place the other half of the triangles on top and pinch closed. Bake in the oven per the instructions of the croissant dough. Literally. That’s it and it’s so, so good. You make substitutions to make it your own. 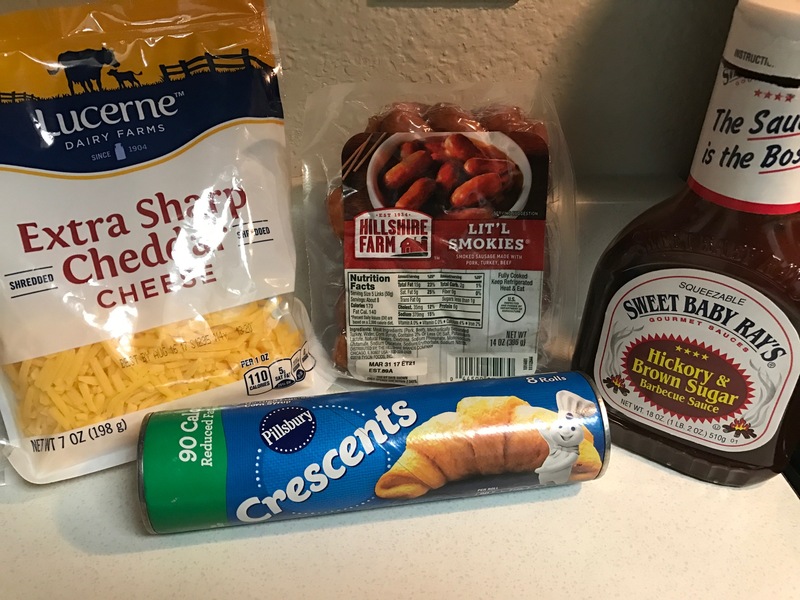 You could even use biscuit dough instead of croissant dough. Go for it! Have fun! But be ware that this does NOT reheat well. As you know, started my very own YouTube channel a couple of months ago and I now have several videos up for viewing! If you haven’t visited my channel, please do. 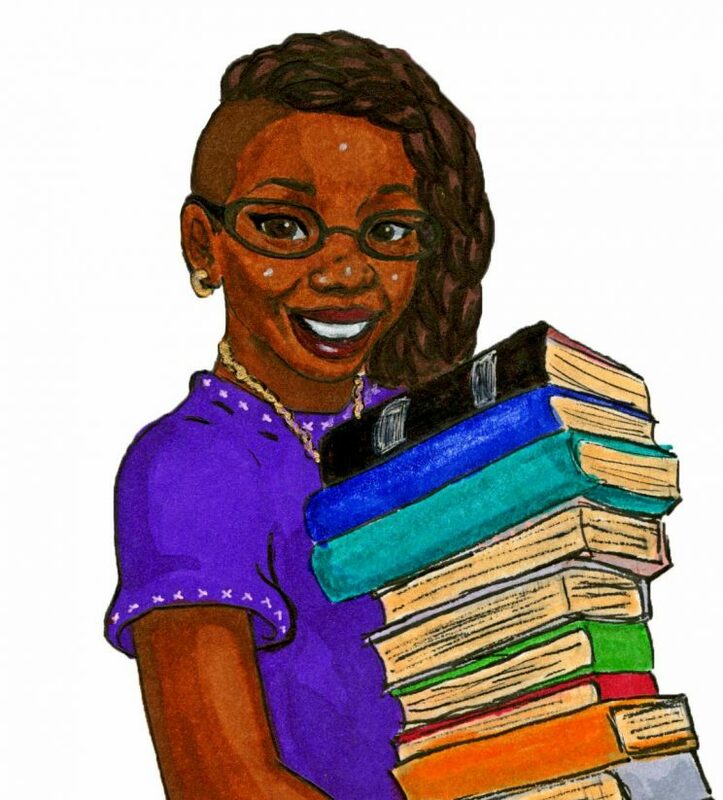 It’s a great way to let me know what you’re reading and give me book suggestions as well! I am also open to topic suggestions. So, if you want to know my opinion on a particular book/author/literary topic be sure to send me a message or comment on a video. See you on Book Tube! Hey, Paige, thanks for joining me for today’s Author Q and A. Okay, Let’s jump right into it! Hi Jacqui! Thank you so much for inviting me. I read your first book Taking the Stage and as a theatre geek myself I loved reading about the backstage drama. What inspired you to write in this setting? And what about the spanking? I’ve never read a book that included an element like that. Where did that come from? I honestly read my first discipline novel at about 13, but didn’t know it was a “thing”. I never heard of the term Spanko. I just knew I liked it. Years later I discovered something called fan fiction and read a bunch of spanking stories. I fell in love with the genre all over again. What was the first book, that you can remember, that dealt those little love taps? This is your first novel. Can you share briefly what was that process like? I got hit with an idea years ago and started working on it in bits and pieces. While I worked full time and stage managed I plowed away at the story page by page. I finally marshaled my courage and decided to submit my work to Blushing Books. I couldn’t be happier with the results. Do you have any advice for fellow first time novelists? Sit down and do it! Write, write, write. Study your craft and practice by writing. When you get it all out, take a deep breath and share it. Ok, ok enough of all the serious stuff. What’s your favorite color? Outside of romance, what is your favorite genre to read? If Taking the Stage was an ice cream flavor which would it be? What was your proudest moment when you were 5 years old? Orbing… Just popping in and out of places. I know that you are well traveled but, where would you visit that you haven’t already gone? What pizza topping do you hate? Alright now, one last question before we wrap it up. Are you working on anything that my friends and I can look forward to? Yes, I have a new novella coming out in a Blushing anthology, for Valentines Day and another full length that’s almost done. Thanks so much, Paige, for taking the time to answer a few of my questions! And to all of my friends out there, be sure to check back for more Author Q and A sessions in the coming months!